Looking For Interior Design Inspiration? Follow These Instagram -ers! You’re on Instagram — right? Me: I’m a bit of an Insta-newbie. I started my account only a year ago, in earnest. 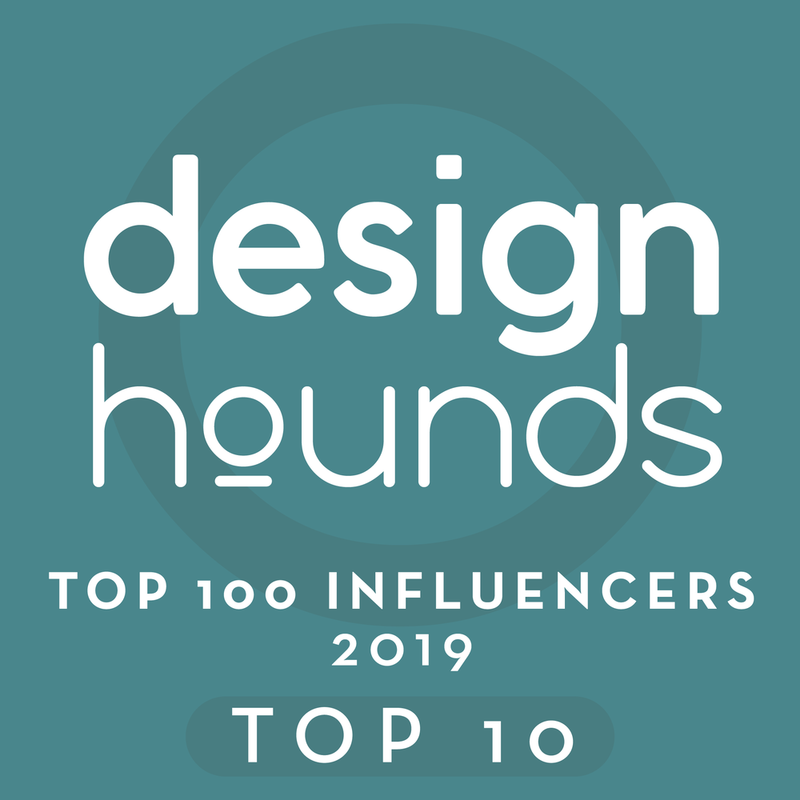 And because I still have soooo much to explore and learn, I’d love for you to share some of your favorite people, profiles, and design hashtags at the end of this post. But, in the meantime, before the comment section comes upon us, I’d like to share with you a few of the decor and lifestyle profiles I follow. For me, each of them are a constant source of design inspiration; and I’m certain they’ll be the same for you. Want to connect with me? Click here! Millwork makes me swoon. There’s just nothing quite like fine, quality cabinetry. And humphreymunson has plenty of it! For tabletop, entertaining, antiquing, and lifestyle... I love eddieross! Beautiful calm interiors, bathed in light. loithai's photography is impeccable. ihavethisthingwithfloors is an amazing Instagrammer who posts the most incredible tile floor pics you’ve ever seen. amazingfloorsandwanderingfeet is another profile featuring amazing floors. For flowers and all things floral, swallowsanddamsons is your source. Follow urbancottageblog for incredible images of food, gardens, flowers, interiors, and life on the east coast. Want more food, as well as a glimpse into the life of a chef? chef_brandon_duley is fun. graymalin was my daughter’s first boss when she lived in LA. He offers a peek at a getaway lifestyle you will surely envy. 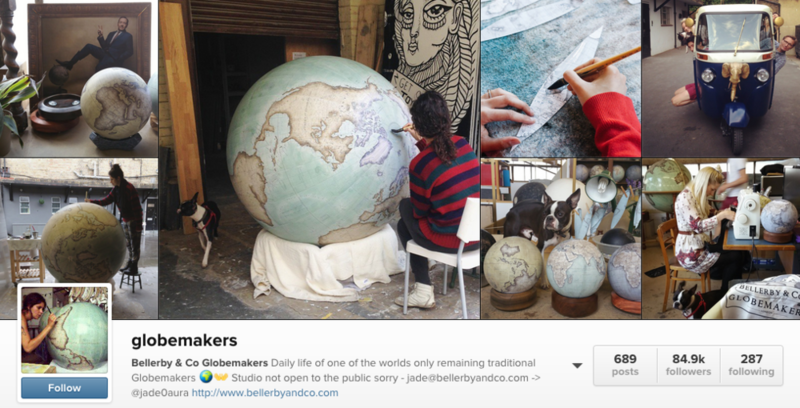 globemakers is responsible for one of the most unique product discoveries I’ve ever made. Click here to read a post about them. habitat-stone and stillgoodconsignment are Houston-area accounts I’ve connected with who will surely be helpful with my business. I’m so glad to have found both of them! 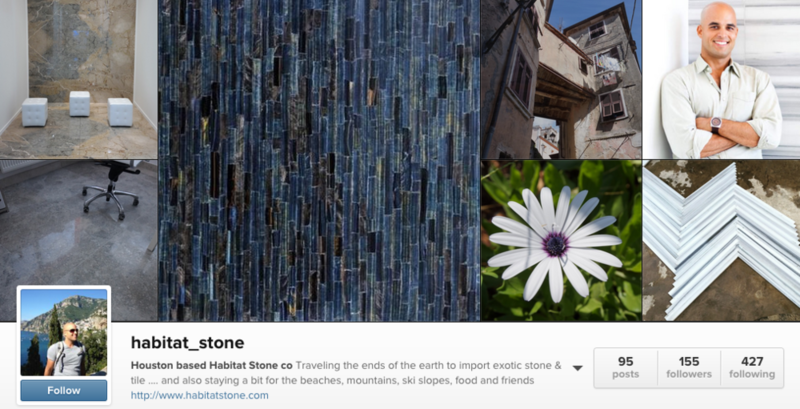 Click here to follow habitat-stone! Click here to follow stillgoodconsignment! Got any good hashtags you want to share? 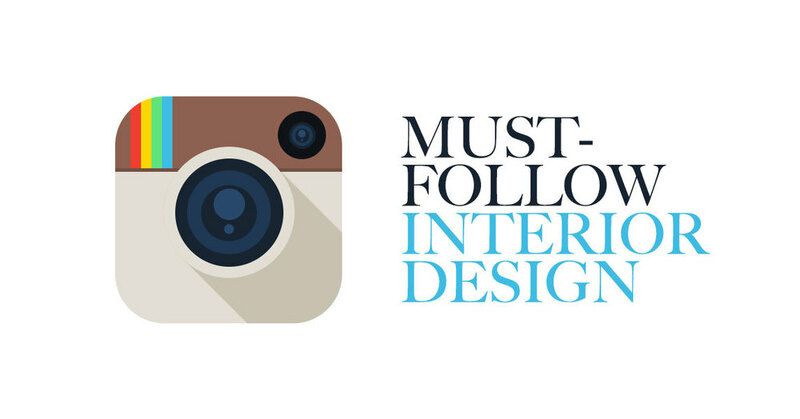 Who do you follow on Instagram for beautiful interior inspiration? Or, if you’re a designer, who do you follow to get your work seen?